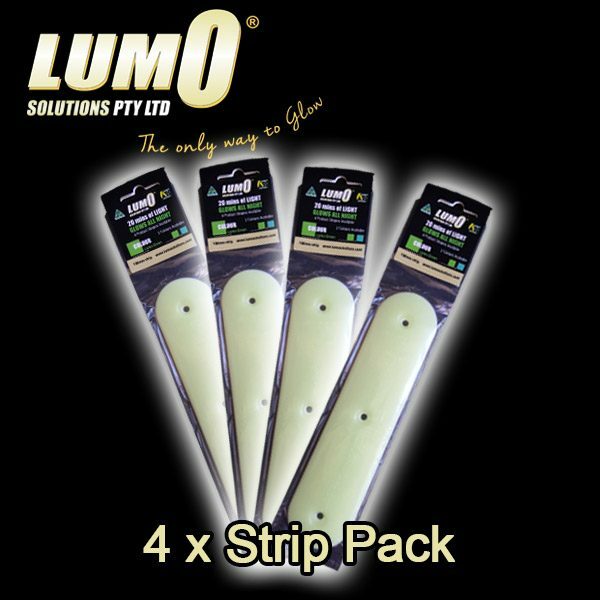 This four piece strip pack is ideal for around the campsite, caravan or motorhome. Tent pegs, caravan drawer bars, tow bars, installation above or, adjacent to, light switches, door handles, caravan steps, hallways, or emergency equipment. Highlighting paths, tracks, hazards and obstacles. 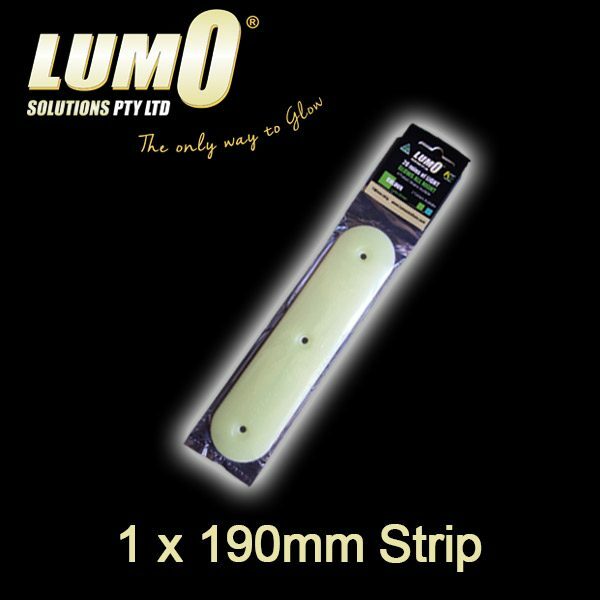 Lumo Solutions safety guidance components are not suitable for uneven, soft surfaces such as mud, sand, gravel, grass or dirt (stakes or fixing posts should be first installed and then the Lumo Solutions safety guidance product should be affixed to the stake or post). The Lumo Solutions safety guidance components should be installed intact and any damaged or broken components should be replaced. These components should not be consumed or used for any other purposes other than those discussed in this user guide. For more details see our full product review below. Wondering around the campsite at night can be more than you bargain for especially if you have had a few sherbets and have no lights handy. OK perhaps when you have a few too many sherbets, nothing will help, but without a torch, Lumo glow in the dark strips can be very handy in lighting up the way. A glow in the dark solution for where there is little or no lighting. 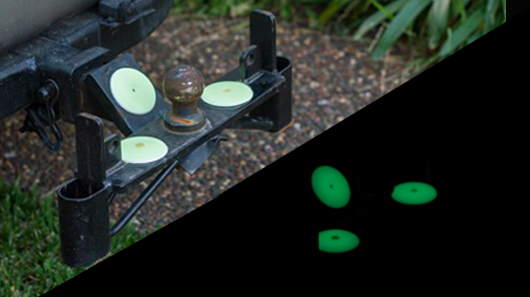 …..Unlike reflectors that require light to be shone on them to make them light up, Lumo work the opposite way. They actually work best when in complete darkness. They absorb sunlight and various forms of other lighting during the day, then glow at night. They are not as bright as a light but not designed that way either. But they will light up a small area around them which will prevent you running into objects at night that may result in injury. The strips are currently being used by Councils, National Parks and Schools Australia wide to illuminate pathways without the need for electrical lighting. 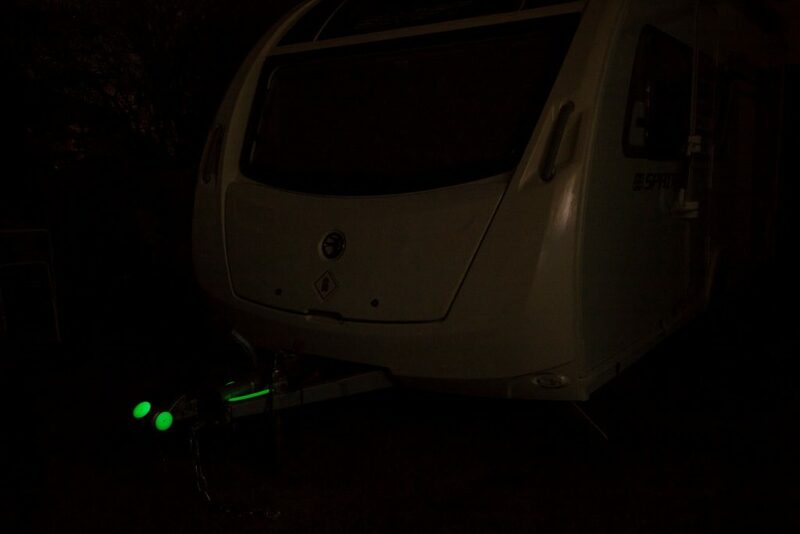 We think however they are ideal for the Caravanning and Camping industry, especially around dark campsites. 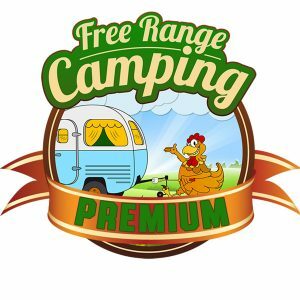 There are 2 different profiles ideal for camping. 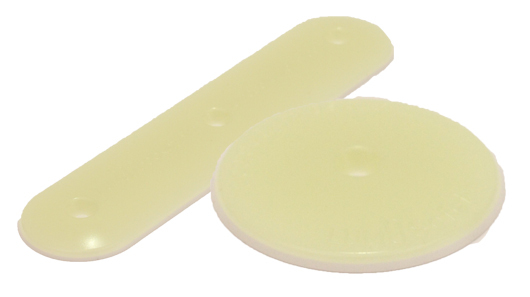 Buttons – The 65mm safety buttons, can be used primarily with tent pegs. Already having a hole in them, the peg can be driven through the centre of the button and remain fixed in place. This allows sunlight to charge it up during the day, and then illuminate at night, allowing you to easily see where your pegs are located and avoid tripping over them or ropes. 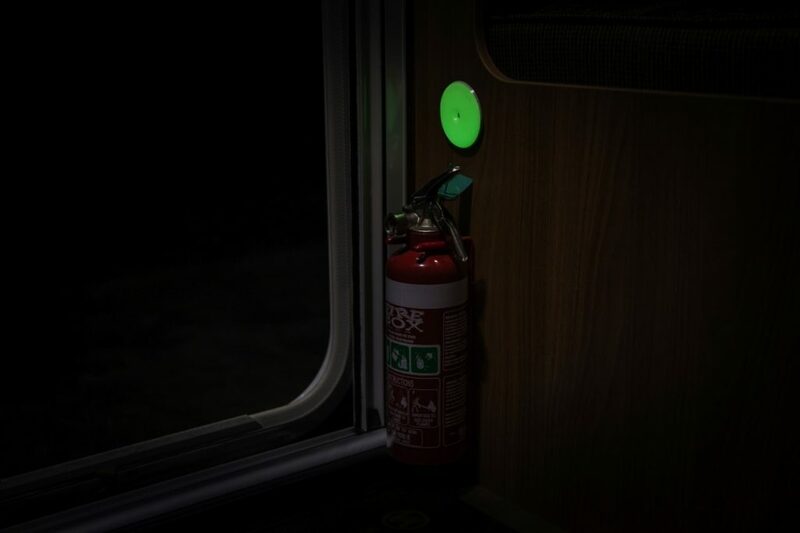 They can also be placed next to light switches, generator switches, fire extinguishers or near anything you need to highlight in the dark, which is ideal in times of an emergency. 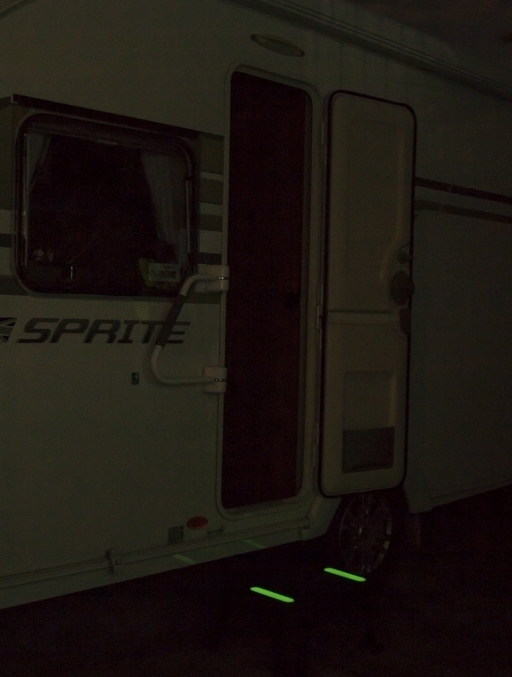 Strips – The 190mm strips are ideal on the draw bars of caravans, which can hurt if you walk into them at night. They allow the draw bar to light up and be easily seen. They are also ideal on the steps of caravans or motorhomes, or they can be placed on the flooring of vans to act as subtle strip lighting in the middle of the night. The strips or buttons can be attached to a multitude of surfaces with a variety of methods, including being screwed in or glued. They are very flexible and can even withstand being run over by cars. They may be cut, however doing so will expose the glow in the dark ingredients and may shorted the life expectancy and performance. The strips were invented at Newcastle, NSW by local Andrew Brown. Andrew had a background in the construction industry, and his own business as a concrete polisher. He was assigned the task of finding a clear penetrating concrete floor sealer that would repel fluids. Andrew took it one step further and investigated how he could make these floors stand out should there be a power outage. It was while playing around with several concepts and sealers that he came up with the magic formula behind his Lumo strips. He then developed a unique recipe and production method, including the manufacturing equipment at Newcastle to allow them to be made here in Australia. 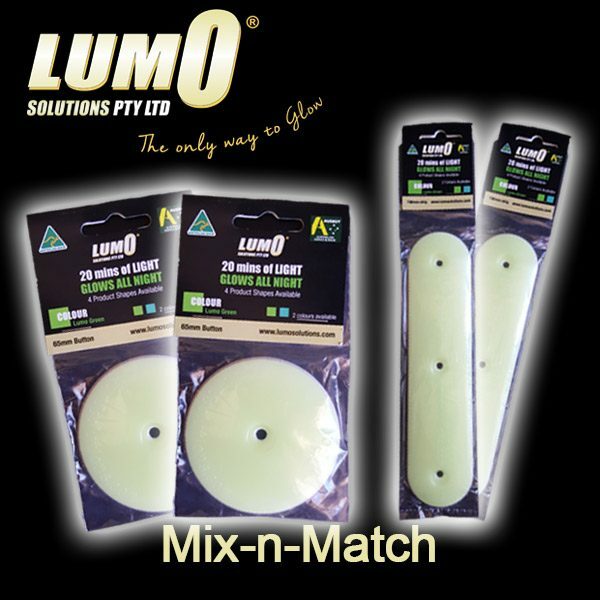 Unlike standard glow in the dark products Lumo uses a precise innovative manufacturing technique. They are made from polymer and special ingredients only Andrew knows about and are extremely durable. The strips are low maintenance and do not required any power. They are a great safety product, and very cost effective as there are no on-going costs, they are built to last for years and not for just once off uses. 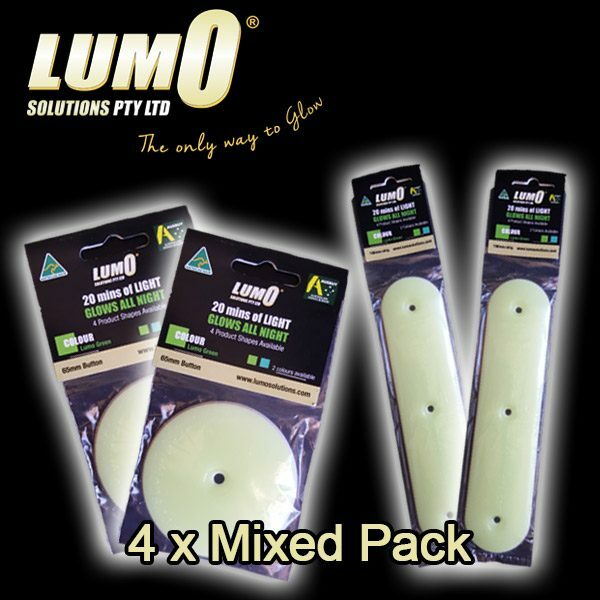 The Lumo strips can be recharged continually for the life of the product, Lumo offers a 3 year parts warranty, however testing has shown that they could last up to 10 years outside and 25 years inside! 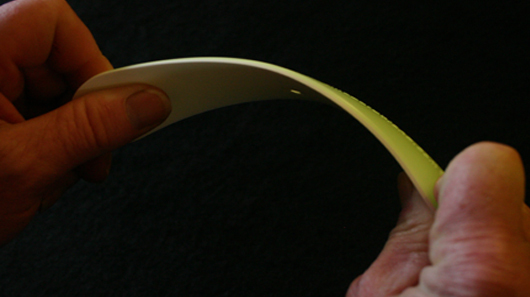 The Lumo strips are charged by various methods, including the sun, moon, fluorescent, incandescent or LED lights and also in residual daylight. They usually only need about 20 to 30 minutes to be effective. The stronger the light source, the quicker they take to recharge. This will also determine the length of time they illuminate for and their intensity. 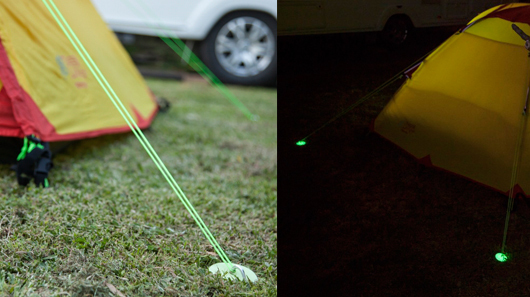 We recently met Amanda from Lumo Solutions and she left us a few of her Lumo strips to try out around the camp site. We used the buttons at the base of the tent pegs to hold down our awning. They were brilliant for this. The tent pegs went right through them, and held them in place. Come night time they lit up really well, especially if it had been a bright sunny day. Like they suggested they work best in total darkness. We found when our automatic door light came on they were not as effective. They still glowed, but not as prevalent as when it was off. But it saved us carrying around the torch. We also placed a few of the strips on the steps and in the hallway of the motorhome. We found the indoor strips did not glow for as long as the outdoors strips, but this was because they were not indirect sunlight all day and just relying on the residual light during the day, and our night time lights. But, they still worked and the kids could make their way to the loo without having to turn on the lights. We placed some on the steps at our entrance and they glowed very well, easily lighting up the steps at night. 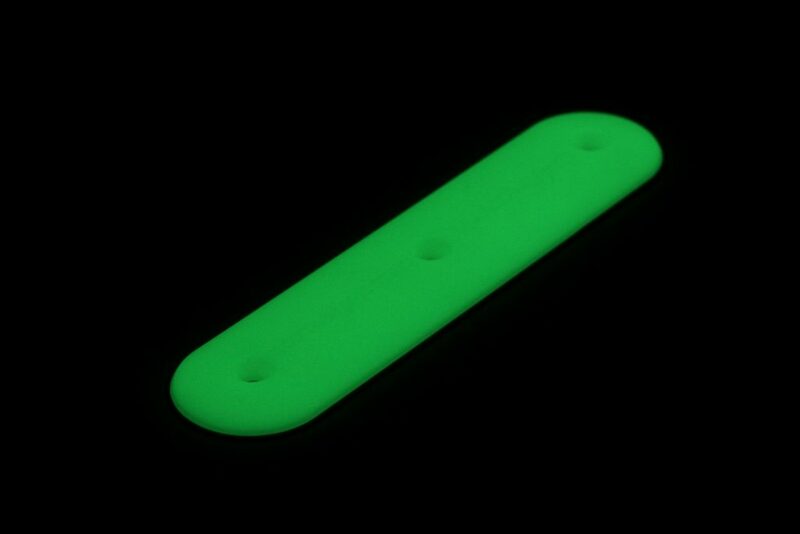 We also gave a few of the 190mm strips to some other campers who placed them on the drawer bar of their caravan. After being in the sun all day, they worked really well and lit up the whole draw bar, effective enough that you would not walk into it.